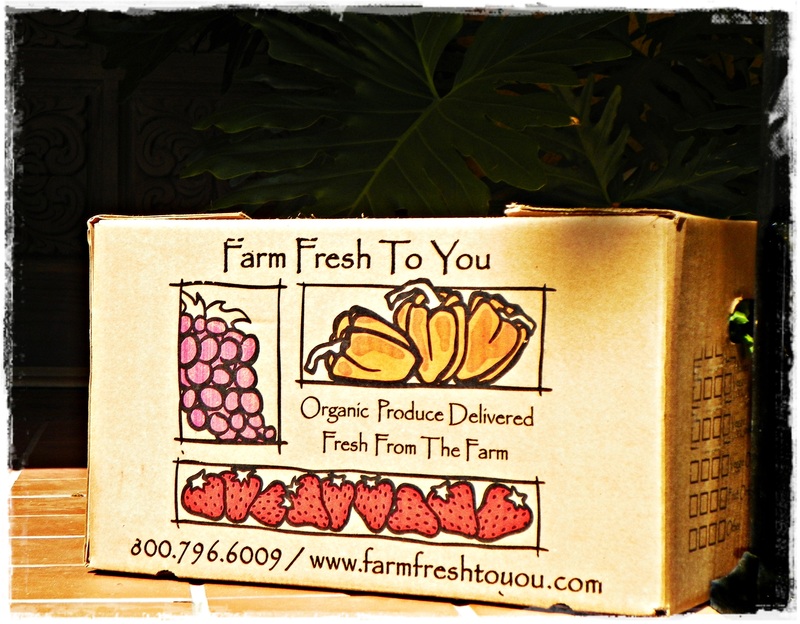 How many of you receive local, organic produce from a farm (or farms) in your area? Community supported agriculture (or community shared agriculture, sometimes simply referred to as “CSA”) is booming business! Basically, CSA is a model of agriculture and food distribution that supports local growers and benefits the local community. I’m sure you have one (or several) in your community. If you haven’t signed up, you should! I am always so pleasantly surprised when my box shows up at my door. What’s not to love about a weekly or bi-weekly seasonal bounty of delicious, fresh-picked produce that is locally grown and organic? 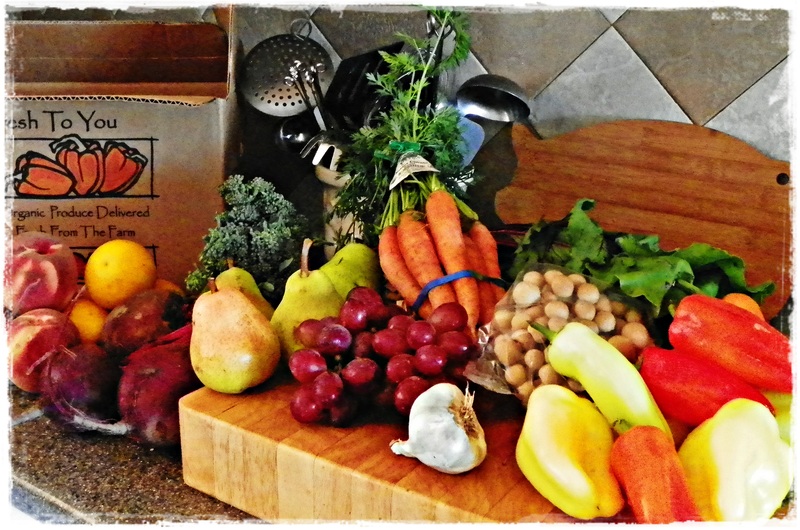 My box this week contained garlic, Valencia oranges, Bartlett pears, white peaches, red grapes, sweet peppers, baby brocolli, brown beech mushrooms, big red beets with their fluffy green tops, and a bright orange bunch of carrots. So . . . I’m not sure what I’ll be cooking up, but it will be something inspired by my box! Stay tuned! Wish I could get a box but none convenient to where I live. How wonderful to have the “mystery” box delivered to your door! We have a couple around here bet not close by and you have to do the pick-up. Such foodie fun! I can’t wait to see what you make. Hi Lynn! I’ll bet you’ll have one near you soon that delivers. They’re popping up everywhere! wow this is like the food version of the makeup sampler subscription! It’s really cool! Stay tuned and I’ll let you know how to sign up! I have to drive a couple of miles to pick mine up at the farm. What a beautiful place. I can help too! And on pickup day it is like old home week, everyone gathers and chats for a few minutes before loading boxes into the car. It has really improved our diets, because we have all these vegies and fruit we eat at home and eat healthy. My CSA (Foothill Roots Farms) just announced they will have a winter share and I am signing up. Robin, that sounds like a great farm! I’d love to visit ours.